ICCF Holland helps needy children in Kibaale, a town in the poor south of Uganda. The work is done by volunteers, 99% of the donated funds is used for the project. Buy on Amazon and a percentage goes to Uganda! She is waiting for your help! We are a small organisation, run by volunteers. 99% of the money we receive is send to the project in Uganda. 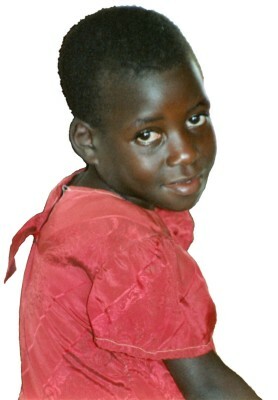 Our goal is to help the most needy children, from baby to adult. The work includes improving the health situation, running a primary and secondary school and support the boys and girls finish a professional education. By concentrating on one single project we know the situation and directly talk to the staff there. If you want to sponsor a child we can discuss what boy or girl will fit you best. with Paypal. For other ways to donate, see this page. The financial report for 2018 is available (PDF). Bram visited the project in June 2018. You can read his report on the news page. Update: The project has now been connected to the electrical grid! A very nice video from our partner organisation shows the work we are doing in Kibaale: watch it on Vimeo. You can find recent pictures on Jeff's blog. This video gives a nice overview of what we are doing in Kibaale. Want to know what is going on? Join the ICCF maillist. We are now accepting donations in the form of Bitcoins. See the Bitcoin donation page. What is Kibaale Children's Centre? How about sponsoring a child? Making a donation for free! Are you a sponsor and you did not hear from us for a while? If you moved, please let us know your new address!